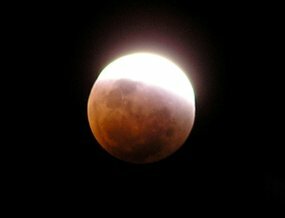 Sky-watchers in eastern Australia should look up to the heavens this Tuesday evening, as a spectacular lunar eclipse rises above the north-eastern horizon. The eclipse, which coincides with the summer solstice, will be in full swing by the time the Moon rises tomorrow night. Geoffrey Wyatt, from Sydney Observatory, says a lunar eclipse happens when the Sun, Earth and Moon align. "The Earth is going to move exactly between the Sun and the Moon," he said. "The Moon will move into the Earth's shadow and we'll see the curved shadow of the Earth move across the Moon." But Mr Wyatt added most of mainland Australia will only see a fraction of the 73-minute lunar event. "Around Brisbane they should have about 13 minutes of totality after it rises, but Sydney just misses out," he said. In Sydney, Mr Wyatt says the Moon will rise at 8:04pm (AEDT) and take approximately 20 minutes to become fully visible. "By the time it clears the murk of the horizon you'll see most of the Moon eclipsed, but you'll [also] see a bright sliver on the lower portion of it," he said. "Of course once you see that, you'll be able to focus in on the darker part. [Even if] you might actually be looking at it, you won't actually notice it up until about 8:20 pm (AEDT)," he said. People in Brisbane will see the Moon rise while it is totally eclipsed, appearing a dark rusty-brown colour. "You need a clear view to the east north-east. The lower down you can see the better. If you take a longer exposure photograph, it [will appear] as a blood red colour," he said. "Being so close to the horizon is going to make it even redder. But that's only during totality, and in Sydney we miss out on that. 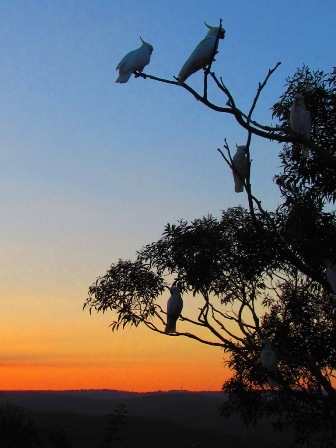 So viewers in Sydney won't actually see the blood red moon at all." He said the further inland the viewer, the less of the eclipse they will see, and by the time the moon rises over Perth the action will be over. 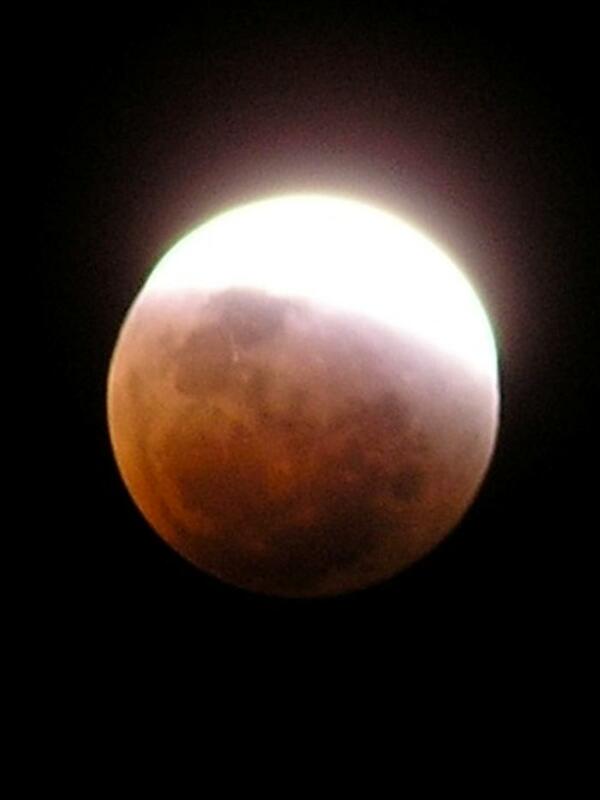 But if you miss this one, Mr Wyatt said a lunar eclipse on 15 June 2011 should be an "absolute cracker" for sky-watchers in Western Australia, while another will be visible across all of Australia on 10 December 2011.